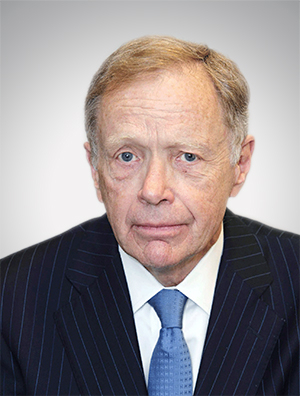 John Dienelt is a litigator with more than 40 years of trial and appellate experience, particularly in franchising, antitrust, intellectual property and other commercial cases. Mr. Dienelt has concentrated on complex and enterprise-threatening litigation, including class actions. He has also represented private parties in disputes with the federal government before courts and administrative agencies. He is the founding managing partner of the firm's Washington, D.C. office. Mr. Dienelt has tried, or handled arbitrations in, more than 75 cases and has argued more than 25 appeals in various federal and state courts and the United States Supreme Court. The author of numerous articles, he is a regular speaker at programs on franchising, a past chair of the ABA Forum on Franchising, and a recognized thought leader in the field. He teaches franchise law as an adjunct professor at the University of Virginia Law School and at Georgetown University Law Center. He has also taught complex contracts and in the Institute for Public Interest Representation and the National Institute of Trial Advocacy program at Georgetown. Before entering private practice, Dienelt served in the Solicitor General's office of the U.S. Department of Justice and as Washington Counsel for the Environmental Defense Fund. He has received awards from the D.C. Lawyers' Committee for Civil Rights for his 25-year successful representation of African-American construction workers in a class action. Recognized as Best Lawyers® 2014 Washington, D.C. Franchise Law "Lawyer of the Year"